As every year on the 21st of june the fete de la musique is taking over the streets of Berlin with musique from all kinds of different countries and genres. The festival welcomes the summer and celebrates with tons of talented musicians playing all kinds of different tunes. Both professional and amateur musicians will be playing. There will be DJ´s, Bands, orchestras, ensemles and choirs. There are numerous open air atges as well as indoor locations across the city of Berlin. For this event there is no entrance fee and all the musicians are playing for free. 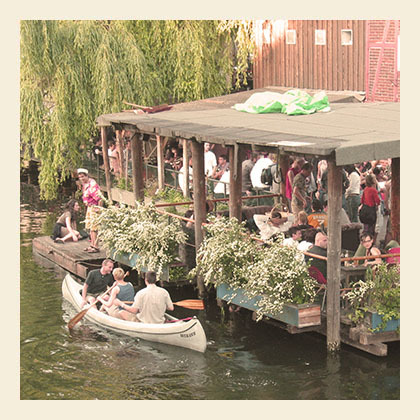 Close to the EastSeven Berlin Hostel you´ll find some nice open air stages. If you are coming to Berlin you are more than welcome to stay at our cosy hostel EastSeven. To make a booking just klick HERE.